Valoriani, a great artisan, known all over the world. The Valoriani family have been producing refractory products since 1890 and today remain world leaders as manufacturers of prefabricated woodfired ovens for professional and residential use. During World War II, many of the communal ovens in Italian villages were destroyed. During reconstruction, Valoriani was on the front line to give strength to his country and his bricks proved necessary to build thousands of wood burning ovens, the basic instrument needed for the baking of bread in the home. This proved a turning point and the prefabricated wood burning oven was born. Silvio Valoriani, a specialist in refractory clay, by using all the century experience acquired from his family, the choice or raw materials and the structural design of the oven’s dome, perfect in all it’s proportions, to such a point that still nowadays the dome is unchanged. The result – family size wood burning ovens from cotto refractario (refractory clay) quarried from the hills of Tuscany. These newly designed ovens were far more fuel efficient and had great heat retention allowing individual families to afford their own ovens. With commercial and economic growth and great demand for its products, commercial businesses needed ovens to be able to bake a high number of pizzas, quality and with uniform baking, able to keep a constant temperature with low wood consumption. To meet this demand Valoriani created a series of professional wood burning ovens, known as “VESUVIO”. Valoriani is the only company to produce its factory, both dome and floor tiles baked at 1300°C. Many firms have tried to copy the VESUVIO ovens, which has been recognised as the Original Wood Burning Oven ever since. They still remain the original, the first product in its class and one of the best products worldwide, chosen and used by some of the most important restaurants and caterings. The company today, after more than 50 years on the market, in it’s 5th generation and with over 300,000 ovens delivered, Valoriani ovens are still made in Refrattari Reggello, high in the hills of Tuscany. 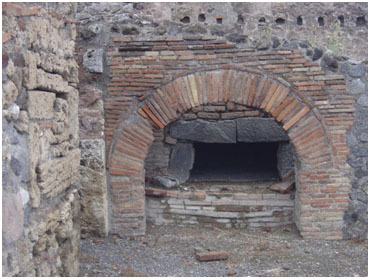 Wood fired ovens have been used in many civilizations around the world, particularly in Europe, throughout history; with perhaps the best known use of the ovens being in Pompeii, in ancient Roman civilisation. More than thirty wood fired ovens have been discovered, magnificently preserved in the ancient ruins of Pompeii, and show a remarkable level of engineering and many similarities to the way of life from ancient days to today. Many of these wood fired ovens are in surprisingly remarkable condition considering their age – some dating back 3,000 years. These early wood fired ovens are a superlative example of the wonderful craftsmanship of the ancient Romans. The ovens that have been discovered are primarily constructed from an assortment of bricks and ceramic materials. Beautifully built, even these ancient wood fired ovens were well shaped, insulated and vented. Throughout Europe, where the majority of brick ovens have been discovered, it appears these ovens were used for different purposes. Large, over-sized ovens have been found which were most likely built and owned by wealthy land owners who probably ‘rented’ out the oven to the local villagers. 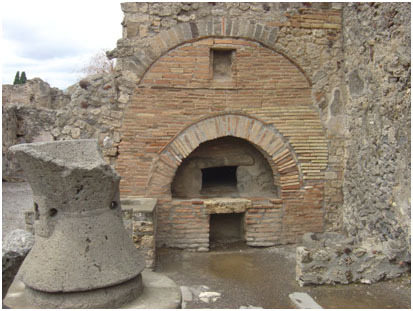 Wood fired ovens found in ancient Roman civilizations were however used for both commercial and residential purposes. These smaller ovens were most likely used to only feed one or two families at a time. The larger ovens were used for commercial purposes and have been discovered throughout ancient Italy in places people gathered to eat. These early restaurants, especially in Pompeii, have been wonderfully preserved due to the force and unexpectedness of the volcanic eruption, to reveal a surprisingly modern commercial centre with what looks like modern day pizzerias – with some even having granite bench tops. Even with the advent of electricity and gas, many Italians have continued to cook using wood fired ovens. After World War II, the Italian Government commissioned Silvio Valoriani in the reconstruction efforts of Italy, by building wood fired ovens for Italian families. Nowadays, Valoriani continues to manufacture wood fired ovens, using the superior craftsmanship handed down for centuries in building beautiful wood fired ovens, for the world to enjoy.